As we stated at the beginning of the month we are going to feature some fantastic small businesses in an interview series this month. I reached out to fellow business owners in the Savvy Business Owner Facebook group I am a part of and was overwhelmed with the responses. Soooo many fellow business owners wanted to participate in this. After looking over everyone that responded I made a few selections and today we start with the first interview. 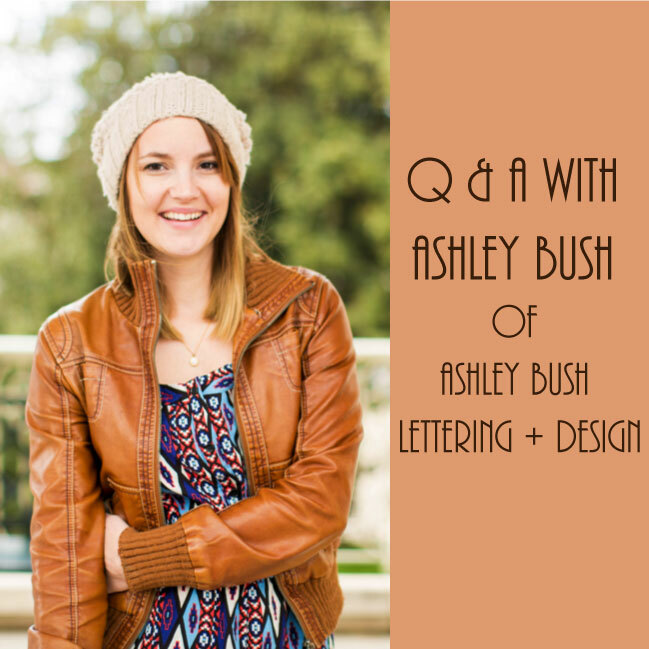 I would like for you all to meet Ashley Bush of Ashley Bush Lettering + Design. Ashley is a mega talented designer and calligrapher. She has a love for typography and it is that love that led her to the hand-lettering business that she has created today. After taking a look at her website and seeing her work with our own eyes we knew we had to know more about her, her business, and how it all came to be. Read on to learn a lot more about Ashley. F.I.N.D.S. : What did you do before you started your own company? Did you always know you would eventually venture out on your own or was that a surprise to you when it happened? Ashley: I was still a designer, but for magazines and large consulting firms, and then I had my son a year ago and I knew I didn’t want to work full-time. While I was pregnant I had been learning calligraphy for fun, I had no idea it would morph into the business it has. This venture has really evolved organically and on its own, and I’m thankful every day for it! F.I.N.D.S. 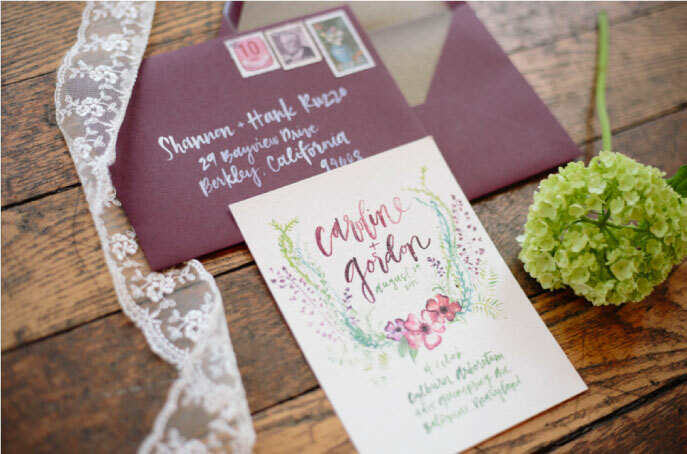 : How did Ashley Bush Lettering + Design get started? What challenges did you face starting your own business? Ashley: Since I’ve been a professional designer for the past 5 years I’ve always had a website as my portfolio and freelanced on the side here and there. After slowly getting into lettering and calligraphy I started having people ask for custom paintings and invitations, and then I decided to really focus on Instagram and from there it just took off! F.I.N.D.S. : Tell us about all the services you offer. There are fantastic examples of calligraphy on your website along with branding and design. F.I.N.D.S. : I see you also have an Etsy shop. Can you tell us a little about the products you sell? Do you do custom work for that as well? 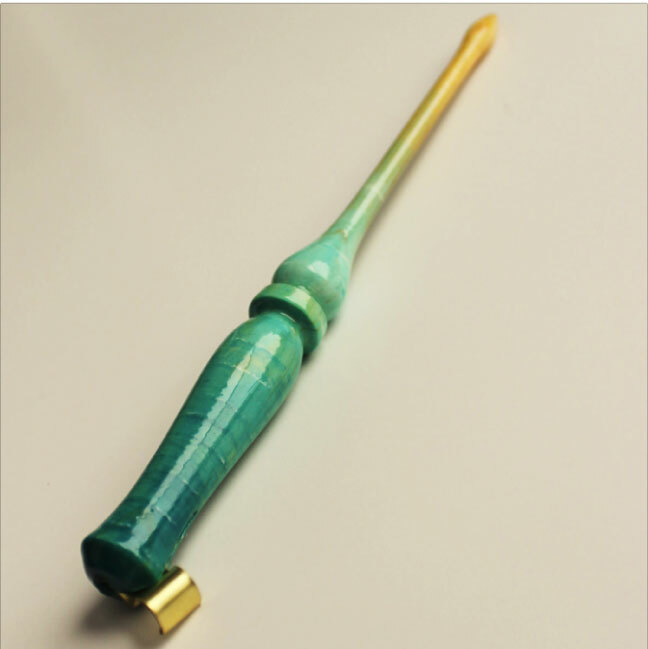 Ashley: I use my Etsy shop to sell the nib holders, as well as a few lettered prints. I love custom work! I’ve had a lot of really fun custom nib holders I’ve worked on, as well as wooden signs and paintings. F.I.N.D.S. : Do you have any favorite designers/artists/calligraphers that you draw your inspiration from? Ashley: There are so many amazing artists out there! I love Daisy Emerson, Jessica Hische (of course), Linda Yoshida. F.I.N.D.S. : Do you have any favorite tools of the trade? This could be art/calligraphy supplies, books you reference, magazines for inspiration, etc. Anything you use on a regular basis that is your go to item or items. Ashley: I have a blog post about my favorite tools here, and I love the books Modern Calligraphy and Mastering Copperplate Calligraphy. Ashley: I’m a mom so my day looks unique, but it works for me. I’m usually up around 7 with the baby, and I work during his nap(s) and get about 4 hours during the day during those times, when he’s awake we just get to do fun stuff – go for walks, to the library, run errands to drop off packages, etc. And then I make dinner and probably get another hour or two of work in after baby goes to sleep. My husband is in grad school so we’ll sit on the couch after dinner and both work on our stuff. It just works for us right now. F.I.N.D.S. : This is just something we like to ask everyone. We love to travel and use travel as a huge source of inspiration in our work. Do you travel often and if you do, where are your favorite destinations? Do you have a favorite design destination? Ashley: I have a lot of destinations on my wish list – France, Germany, Europe. Right now I just love the mountains, and finding inspiration in the tedious day to day. I’ve actually found a lot of unexpected beauty right in my backyard. F.I.N.D.S. : Lastly, what advice would you have for someone who is starting out with a creative business? Ashley: This seems really simple, but someone told me “just do it” and for some reason I was like, “ok!” and so I did it. It was like I needed permission, so I’ll say it to you – just do it, you’re capable. If you love Ashley’s work as much as we do and want to work with her, be sure to check out here website here and you follow her on Instagram @ash_bush. You can also check out her blog here. Are you looking for some art prints or custom nib holders for the calligrapher in your life (or maybe even yourself)? If so check out her Etsy shop here.